The 8th gen consoles debuted in an era of social media and online journalism. 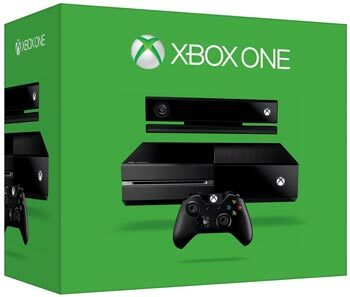 In mid-2013, the Xbox One was intensely controversial. Many people in 2017 forget that they even said statements like “I’ll never forgive Microsoft” and “I’ll never buy an Xbox One ever”. We, as human beings, have strong emotions, and sometimes we don’t look at things objectively. I remember (during mid-2013) that a prominent game journalist, in the face of near-unanimous agreement that the Xbox One would be awful, said “At the end of the day, when things boil down, the Xbox One and PS4 will be mostly the same”. Most didn’t want to hear this, but he was right. Microsoft did improve the Xbox One meaningfully. The company improved their PR with fans and listened to feedback. Mandatory Kinect, DRM and Always Online never happened. Added a large backwards compatibility library. The Xbox One S reduced the bulk significantly. Xbox One X gave an option for gaming enthusiasts. The Kinect never spied on anyone. During 2013, the NSA scandals in the United States received a lot of press. This was poor timing for Microsoft to unveil their camera-based software interface and declaring it mandatory. Many complained the the Kinect would surveil them in their home and send their private information to the government. This never happened. In hindsight, Microsoft really should have made it optional. While they had wanted to be innovative like the Wii, the $500 price point was not appealing and the Kinect did not have enough functionality to justify an extra $100. Microsoft is probably right that digital distribution is the future. Discs and cases add bulk to both stores and homes. Downloading a title instantly is more efficient than spending time and gas driving to the store. But most people were not early adopters. The ability to buy used games and trade games with their friends mattered. Moreover, consoles still depend on retailers to market them. Retailers were not going to give Microsoft a large amount of shelf-space if they couldn’t profit off of the games themselves. Again, forcing everyone to adopt these changes all at once was a mistake (even though the majority of 8th gen gamers in the developed world have internet access). However, when all is said and done, I’m slightly disappointed that backlash pressured the Xbox One into being a standard console instead of an innovative all-digital, cloud-based, voice instructed console. Of course, people don’t fear Amazon Alexa or iPhone X’s voice-recognition and face-recognition technology as all-intrusive, but being at the right place at the right time is everything. The anger was justifiable but also reactionary and a wee bit harsh.